In this week’s pencil drawing I take a different approach. Instead of someone famous I attempt to draw an awesome picture of a grandmother. 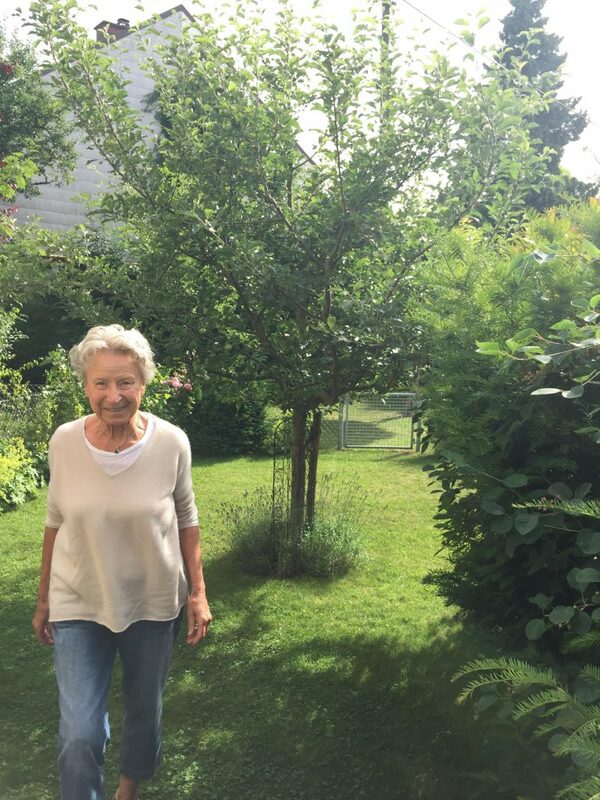 This grandmother was fondly remembered by their grandchild in a Reddit post. The person who posted the picture indicated that their grandmother didn’t really like smiling in photographs, but they were able to capture a smile in a candid photograph. I was moved by the picture and offered to draw it for them. I feel that I fell short in appropriately representing the grandmother’s smile – I felt the drawing was, while technically good from lighting and shading, a bit dark. First, please enjoy the wonderful picture of the grandmother. One of the most iconic female movie characters is Mary Poppins. In 1964 Julie Andrews played this no-nonsense nanny who swoops into a troubled family and helps the dad recognize the importance of his fatherly role. Here is the process I used for drawing this 1964 version of Mary Poppins. I wonder how well Emily Blunt in “Mary Poppins Returns” will be able to portray the Mary Poppins we all know and love from the original movie. 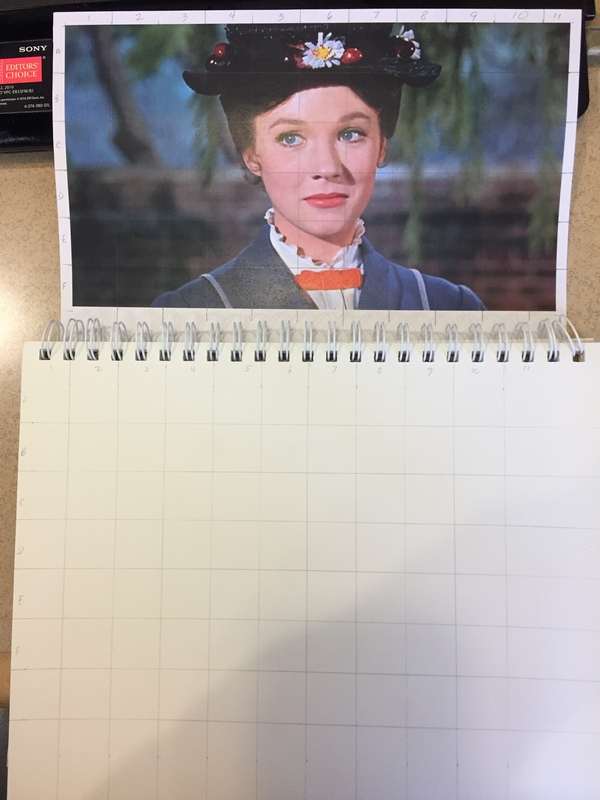 As always, I start with a 1″ x 1″ grid on both the photograph and my drawing paper. For this drawing I mainly used a 2B mechanical graphite pencil and I used an 8B and 6B wooden pencil for the hat/shadow area and the background filler.